Our system and services help schools manage all areas of their operation effectively, gain competitive advantage, and stay in compliance with their accrediting agencies, state and federal governments. Consider the advantages our system offers. 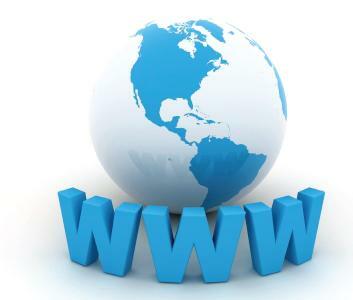 Our web-based system is accessible from anywhere at any time. We host the website and manage the database. You just connect to the system over the internet. It's fast and reliable. Manage your school or work for your school from anywhere. Manage multiple campuses from one location or distribute the work to multiple locations. Our comprehensive school management system is designed exclusively for career colleges. It is tailored to each individual school. It has all the functionalities you want for your school and nothing more. It is updated whenever regulatory requirements change. It is upgraded with improvements and new features as soon as they are available. These updates are installed behind the scenes without service interruption. Process financial aid directly on the system. This is an option if you want a system that is fully integrated with Title IV processing. If you do not want this option, you can still take advantage of the powerful system while retaining your third-party servicer or your in-house Title IV processing setup. Improve your student performance not only to achieve competitive advantage but also to meet the compliance requirements set by your accrediting agency, your state and the federal governments. The system allows you to continually monitor student progress and improve retention and placement rates. Grow your school and manage the growth with the tools provided by the system. Automate lead generation with online application. Understand and improve your sources of inquiries and inquiry to enrollment conversion. Automate student notices with the student portal. Manage student folders with electronic document management system. Project income for cash flow. Produce financial performance report for any period to any level of detail. For example, get the earned income in the previous month for each program offered. Services are provided for all issues that arise in everyday school operations, and also for special occasions: Annual reports, compliance audits, federal program reviews and accreditation renewal. You can rely on us to be there when you need us. Low Cost to start and use, our system is provided at a flat low-monthly fee. There are no additional charges for upgrades, new features, or any additional services we provide. Already using another system and/or third-party servicer? Leave it to us to help you make the transition into our system. We customize the transition plan for each school depending on their situation whatever it may be. You can be assured that we will design a plan that you will be comfortable with. Getting Ready for Title IV? If your school is in the process of getting accredited, we help you meet your accrediting agency's standards. If your school is accredited and is applying for the Program Participation Agreement (PPA), we help you get ready to process the financial aid.